Siborg has recently made new gold-plated bent-tips available for Smart Tweezers and LCR-Readers. This new design is more ergonomic compared to the straight-tip option. 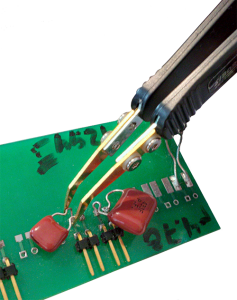 The bent-tips make it easier to reach components already on a PCB while holding the device at a more horizontal angle. All devices will still be equipped with straight tips with the bent-tips as a optional add-on. 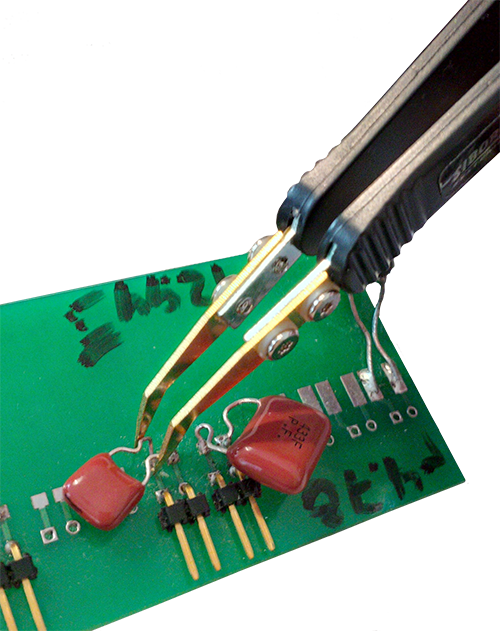 Siborg Systems Inc. is showing the LCR-Reader and Smart Tweezers devices for the first time this year at the 41st annual Taipei International Electronics Show, or Taitronics. They will be giving a 20 minute presentation about LCR-Reader covering details about the LCR-Reader, including its features and the differences between LCR-Reader and Smart Tweezers; the new calibration jig and the future of LCR-Read calibration, and a history of Smart Tweezers since its introduction in the early 2000’s. The presentation will draw potential users to the LCR-Reader and it’s easy-to-use solution for testing and troubleshooting surface mount technology. 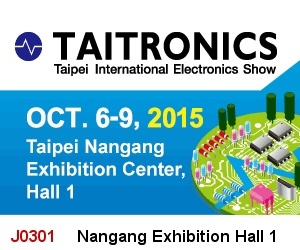 See the presentation at 11:30AM on October 7th, at Area I, 1F, TWTC Nangang Exhibition Hall during Taitronics, and visit the LCR-Reader booth at J0301. We hope to see you there!